Astronomers think they've found a "super Earth" that might be capable of sustaining life. Kepler-62f is a planet 1,200 light-years away from our own, and in the same range of planets that are likely to not just be rocky, but also have oceans, the scientists say. "We found there are multiple atmospheric compositions that allow it to be warm enough to have surface liquid water," Aomaway Shields, study lead author and a National Science Foundation astronomy and astrophysics postdoctoral fellow at UCLA, said in a press release. Shields worked alongside Eric Agol, Rory Barnes, Cecilia Bitz, Benjamin Charnay, and Victoria Meadows from the University of Washington. The team's research was first published online in the journal Astrobiology. In order to determine what the planet might be like, the research team ran several computer simulations that included Kepler-62f possessing an atmosphere that would range in thickness from the Earth's all the way to 12 times thicker, and various carbon dioxide concentrations from Earth levels up to 2,500 times higher. Another simulation tested various configurations of the planet's orbital path around its sun. While this is all speculative, of course, the team came up with several scenarios that would enable a habitable Kepler-62f. According to the research, the planet would need an atmosphere that is three to five times thicker than the Earth's. The atmosphere would shave to be composed entirely of carbon dioxide, which is not such far flung idea given its distance from its star. "But if it doesn't have a mechanism to generate lots of carbon dioxide in its atmosphere to keep temperatures warm, and all it had was an Earth-like amount of carbon dioxide, certain orbital configurations could allow Kepler-62f's surface temperatures to temporarily get above freezing during a portion of its year," Shields added. "And this might help melt ice sheets formed at other times in the planet's orbit." To determine the shape of possible Kepler-62f orbits, the team used HNBody, a computer model, to map out the possibilities. To simulate various climates they used existing global climate models. This work was significant in that it was the first time astronomers combined results from two different kinds of models to study an exoplanet -- a planet that orbits another sun. "This will help us understand how likely certain planets are to be habitable over a wide range of factors, for which we don't yet have data from telescopes," Shields said. "And it will allow us to generate a prioritized list of targets to follow up on more closely with the next generation of telescopes that can look for the atmospheric fingerprints of life on another world." 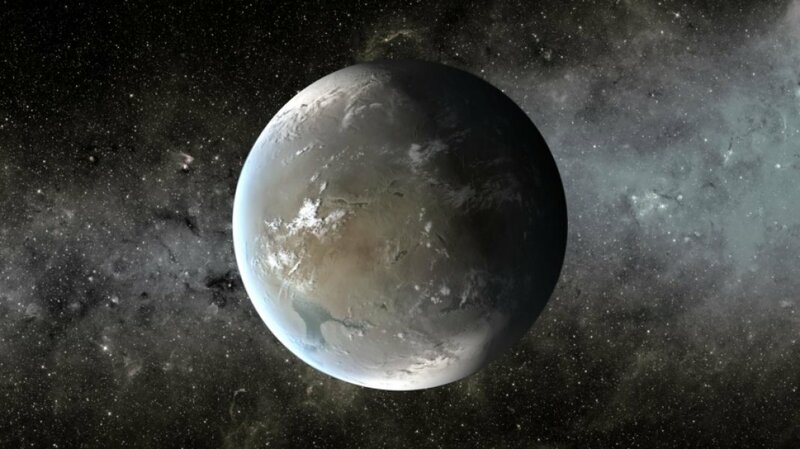 So far, scientists have no idea whether life actually can or does exist on an exoplanet like Kepler-62f. According to the researchers, there are more than 2,300 confirmed exoplanets, and a few thousand more that are planet candidates, but still, just a dozen that are declared "habitable zones." Shields explained that a habitable zone refers to a planet that orbits its star at a distance that could be warm enough to sustain liquid on its surface.